With the weekend quickly approaching, we did some digging to help you figure out how you should spend your time! As usual, there are a ton of fun events going on in the Bay Area! Let’s take a look at our favorites, and let us know where you’ll be! SoMa StrEat Food Park and Funcheap SF have teamed up to bring you the 2nd annual Robin Williams mini film festival to celebrate and remember this comic genius. They will be showing 10+ hours of his movies from Ms. Doubtfire to Dead Poet’s Socitey. There will be 10 big screen TVs throughout the park and free popcorn. For a full list of movies and times click here. 2. 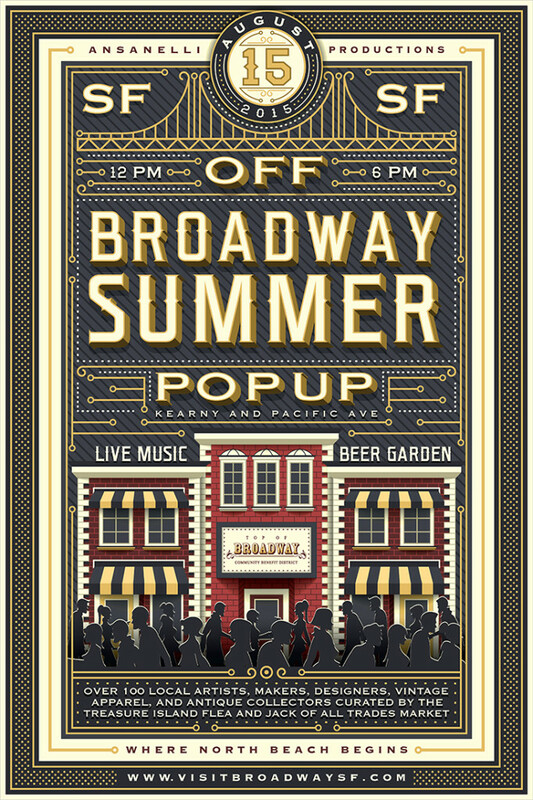 Off Broadway Summer Pop Up! Come out and enjoy 100+ local artists, makers, designers, food entrepreneurs, and antique/ vintage upcyclers at the 1st annual Off Broadway Summer Pop Up! There will be live music from local bands, DIY workshops, kids activities, community activities, plus food trucks and stands, a beer garden serving local brews, wines and spirits. It is fun for all ages and pet friendly. 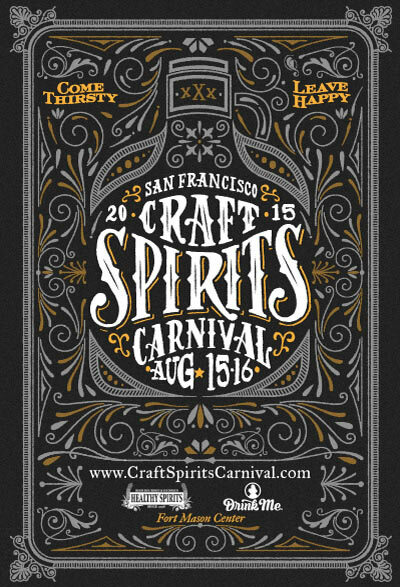 Come celebrate the craft spirits movement at the Craft Spirit Carnival in the Festival Pavilion at Fort Mason. 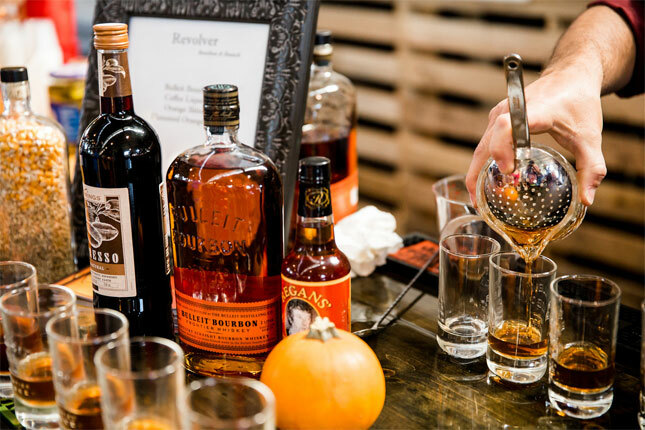 This two-day exclusive showcase will feature a grand selection of over 150 handcrafted ultra-premium spirits from around the world. There will also be Polynesian dancers and other entertainment thought the weekend that you don’t want to miss! To purchase tickets click here. 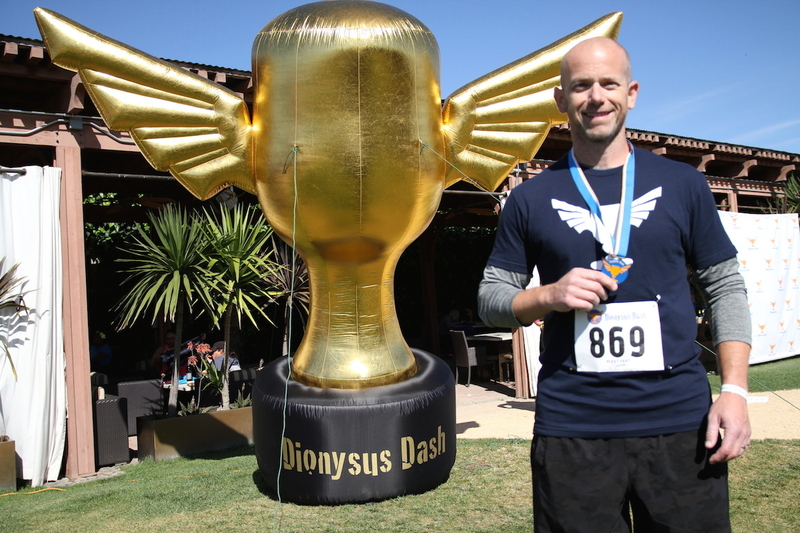 Put on your toga’s, Greek head pieces and running shoes because the Dionyseus Dash Wine 5K run through the beautiful vineyards of Hess Winery and Christian Borthers Vineyeard is this Sunday! There will be wine tasting and awards to follow. So grab a friend, get your tickets and enjoy a great morning of exercise and drinks. If your looking to buy some accessories, body products, home décor, art or furniture made by locals, the Urban Air Market is the place for you! Featuring 100 local designers and artists at the intersection of Minnesota and 19th street this is a unique shopping experience that builds community. Then if you get hungry the San Francisco Street Food Festival is also taking place at Pier 70 — which is only a ten minute walk away! Which events will you be attending? Let us know in the comments below or on Twitter and Facebook!